You know that Beach Boys song, “God Only Knows Where I’d Be Without You”? I love that song. It’s an honest song. I thought seriously about it being our first dance song at our wedding. (We chose “Pride and Joy” by Stevie Ray Vaughn instead because we’re blues nerds.) It sounds so sweet and fluffy, but the lyrics are so stark. As far as I’m concerned, it’s the greatest love song ever because it’s true. The high standards of the “you’re wonderful and our love is the best” just don’t work for me. But “I may not always love you” feels real. This song played in my head a lot when I was reading Karma’s COME AWAY WITH ME. I’m a sucker for a “can they get through this” story. And that’s what this is. It’s a grown-up story. It compliments the reader by having faith you’ll stick with a difficult story. So here are my five things that I loved about COME AWAYS WITH ME. The grief is real. When you’ve lost someone, everyone wants you to move on before you’re ready. You’re only allowed a certain amount of grief from those around you. You feel poor Tegan’s grief so deeply, the emptiness of it, how you’re just going through the motions of life, and how everyone around you is so dang irritating with all their helpfulness. The travel is real. Karma has been to all the places Tegan and Gabe go trying to restore their relationship after their loss. I love to travel. I haven’t been to any of the places in COME AWAY WITH ME, but now I’m ready to book my reservations. Travel can be cleansing, but it can also remind us that we can’t runaway from our troubles. So as exotic and wonderful as the places they did go are, it’s still a very true story in that there’s no passport that takes you away from yourself. The relationship is real. I can’t imagine anything worse happening to a relationship like the one Tegan and Gabe go through. It would be so easy just to walk away. That they don’t (and the story of why and how) is captivating and endearing. The tears are real. And by tears I mean Tegan’s and mine. I love a book that makes me cry. It’s cleansing. And this book earns my tears because it’s so dang good. The twist is real. Yes, there’s a twist. Oh, lordy, there’s a twist. Get to it as fast as you can. So that’s what I have to say about COME AWAY WITH ME. Go read it. Now, please. Why are you still here? And if you need an earworm for your reading time, here are the Beach Boys. 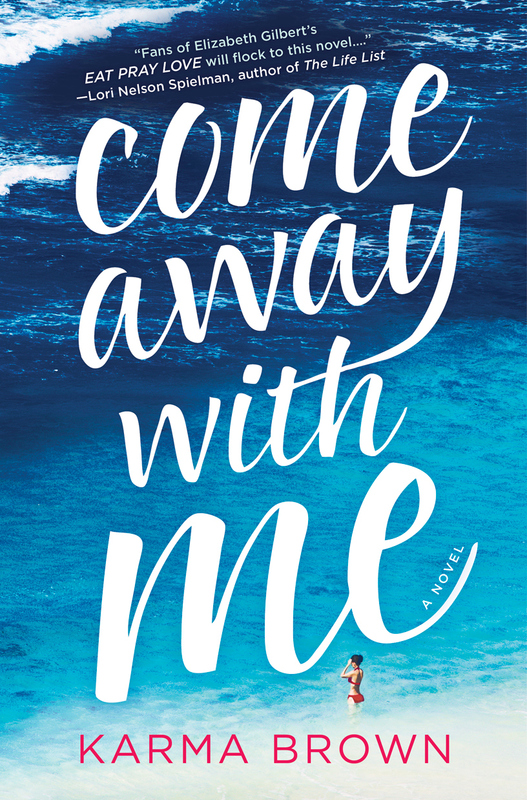 ← 5 More Reasons to Read COME AWAY WITH ME! Thank you Shelly! I loved this “It’s a grown-up story. It compliments the reader by having faith you’ll stick with a difficult story.” because it’s true. That’s how I felt writing it — it was a hard story to tell, but it felt honest and real at the same time. The thing that kills me about the lyrics of “God Only Knows,” apart from that great opening line, is that it’s “God only knows what I’d BE without you.” Not “what would I DO without you,” or “I can’t live without you” — like the other person is a really fun hobby or an iPhone. But what would I BE without you — whether or not I always love you. Wow.